Home > Electronics > How to Power a SATA Hard Drive Externally? SATA to USB 3.0 Converter! How to Power a SATA Hard Drive Externally? SATA to USB 3.0 Converter! It happens many a time. You have an unused internal hard drive lying idle. You just want to convert this internal hard drive into an external hard drive. Will that be possible? Well, yes – it is very much possible. It is just that you need to be careful enough in handling the delicate parts carefully. Let us check out a few products that can be helpful enough in this venture. 1 How to Make SATA to USB Converter? 3 What are the differences between an HDD, SSD and a Hybrid Drive? 4 Conclusion – Can I use an Old Internal Hard Drive as an External HDD? How to Make SATA to USB Converter? Before you begin converting your internal hard drive into an external drive, you will need to have a few elements ready before you can proceed ahead. If you have examined an internal hard drive, you would clearly notice that it does not have any connections and protective cover. You may also need connectors. Never work with your computer when it is connected to power – whether mains or through the battery. You may be subjected to an electrical shock in that scenario. Get rid of the static electricity within the system to avoid any kind of shock. Keep the hard drive away from any magnetic field. Magnets can erase the data on your hard drive. There are a few things you need to take care of if you are opting for an enclosure. The size of the internal hard drive you want to use with the enclosure will need to be assessed before you opt for an enclosure. The Orico 2.5 inch SSD SATA Hard Disk External Portable Case Cover is an excellent option which can best suit your 2.5 inch hard drives. The case is made of transparent ASB material for protecting your internal hard drive. It also comes with a blue LED indicator. It can provide you access to a USB 3.0 to SATA 3.0 speeds at 5.0 Gbps connectivity. The connectivity speeds reach up to 10 times better than the USB 2.0 standard. You would need no installation tools of any nature. Transparent looks enhance the quality of the enclosure and thereby your drive. Real USB 3.0 connectivity for enhanced performance. There are no rubber pads for an effective grip. The locking mechanism is not up to the mark. Q: Can it be used for cloning the HDD or SSSD? A: Yes, you can easily use the enclosure for cloning purposes. Q: Does the enclosure come with the cable? A: Yes, you get the USB cable as part of the sales package. Now that we mentioned about the USB 2.0 and USB 3.0 above and the performance differences between them, it may be a good idea to understand how do they differ from one another. The new devices and computers are being made available with USB 3.0 ports. Of course, they are backwards compatible with USB 2.0 and thus work with USB 2.0 devices at those speeds. However, if you have USB 3.0 devices, you will experience the extreme transfer speeds that the technology offers you. The major difference between the two standards lies in the transfer speeds. The theoretical speeds offered by USB 2.0 are 480 megabits per second, while those provided by USB 3.0 can go up to 5 Gbps. This makes USB 3.0 is ten times faster than the USB 2.0. Apart from the speeds, yet another factor that differentiates the two standards is the pricing. The USB 3.0 is quite expensive in comparison to the USB 2.0 standard. 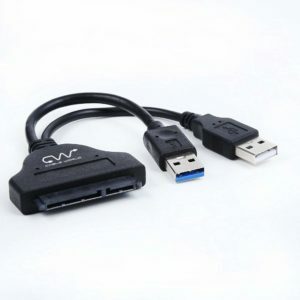 The Cable World USB 3.0 to 2.5″ SATA III Hard Drive Adapter Cable is a good option for connecting your internal hard drive and its enclosure with your device. As the name itself should be indicative enough, you should find the cable suitable for 2.5″ SATA Hard Drive. The connector is quite affordable and lightweight. The cable can be used to connect SATA to USB 3.0 converter. It supports multiple manufacturers like WD, Seagate, Toshiba, Intel, and Samsung. A clever and simplified design that helps you connect your computer to the SATA hard drive. Compatible with USB 2.0 and thus should meet most of your needs. Hot swap compatible and plug and play functionality are what would make it a great choice. The connector may not work with the faster SATA drives with NAND technology in some cases. Q: Does it supports Windows 10? A: Yes, it supports a wide range of operating systems including previous versions of Windows. Q: Does it work with 3.5 inch drives? A: No, you will be able to use it only with 2.5 inch drives. Recommended Reading - What is SATA? The discussion above makes mention of SATA drives. So, what is a SATA drive and what features does it offer you? Let us go through a few finer details. The SATA drive stands for Serial Advanced Technology Attachment. It is indeed a standard for connecting the hard disk drives to the computers or similar systems. They can connect and transfer data using the serial signalling technology. This is in sharp contrast to the IDE (Integrated Drive Electronics) technology that uses a parallel signalling performance. There are several advantages that it offers you. The SATA technology enables the cables to be thinner, flexible and less massive. In contrast to the traditional technology, the SATA technology provides you with better throughput. Differentiating between the two should not be difficult. The SATA connected drives come with a card edged connector options. The traditional PATA connected drives come with a pin connector. 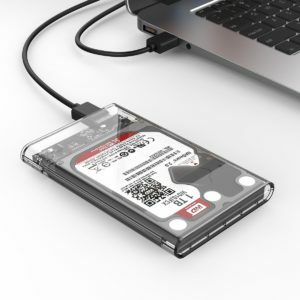 The RISEON Kesu Elements 2.5 inch SSD SATA Hard Disk External Portable Case Cover is a great option for connecting the SATA and SSD drives that offer you an exceptional choice for converting your internal drive into an external hard drive. Made of an ASB fireproof material should ideally make it quite elegant enough. You also have access to the LED indicator for a better connectivity indication. You can experience the theoretical USB 3.0 speeds at 5 Gbps for an enhanced transfer performance. The UASP protocol provides you an enhanced transfer speed. An easy installation option without the need for any tools. The compact design that enhances the portability. An excellent data transfer speeds of up to 5 Gbps. Once closed, it may not be easy to open again. It requires a high degree of power requirement. Q: Does it support SSD? A: It works with both SSD and HDDs. Q: Can it be assembled in an easy manner? A: Yes, it does not offer you an instruction manual, but should let you install it easily. What are the differences between an HDD, SSD and a Hybrid Drive? If you are a layman or quite new to the world of PC architecture, you may have got confused about the terms used quite often. Especially the terms like HDD, SSD and the hybrid drives. We thought of explaining the terms and the differences in a concise way. The HDDs or Hard Disk Drives have been used for the storage requirements on the PCs and laptops for decades together. In fact, even in these days where SSDs have been quite popular, they continue to rule the roost on most of the devices. Ideally, it consists of magnetic platters that rotate and are paired with the read/ write heads. The heads record or retrieve the data stored on the drive. The SSDs or Solid State drives are almost similar to the HDDs and are connected through a SATA interface (we have explained SATA in the previous section). However, the SSDs come with no magnetic part or read/write heads. They replace the magnetic platters with the nonvolatile NAND flash memory. The Hybrid drives are where a combination of both HDDs and SSDs. 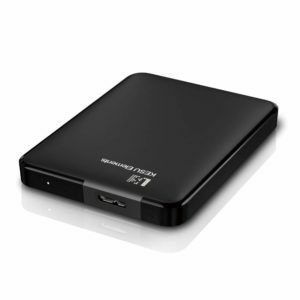 These hybrid drives make use of the conventional rotating platters along with a little deal of high-speed flash memory. These work by storing the data on the traditional media and store the cache files on the flash memory. This will ensure that you will get an SSD level of performance at a considerably lower price segment. The HDDs offer you inexpensive option while the SSDs tend to be a little expensive. However, from the performance point of view – the SSDs offer you higher speeds and also offer you durability for your storage medium. In fact, the lack of moving parts provides you with better durability. Conclusion – Can I use an Old Internal Hard Drive as an External HDD? Well, if you are looking to convert your internal hard drives into external drives – the essential elements that you need to work out for. The enclosures and the connectors you choose for the best performance should be based on a good deal of research into which drives you to want to work with. The size of the drive supported, and the connection standards should ideally play an important role in choosing the right kind of accessories. We assume the options featured here should provide you with enough inputs into how to choose the components. 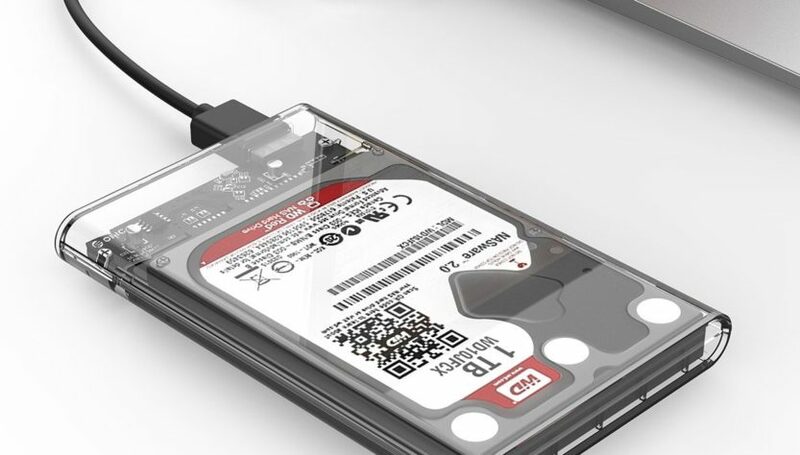 If you have been into converting any of your unused internal hard drives into an external hard drive, do let us know your thoughts and experiences so that the horizon of our knowledge may get a piece of enhanced information. Thread Keeps Coming out of Sewing Machine? Check out the Common Mistakes and Their Solutions? How To Calculate Litre Capacity of a Bag? How Big is Your Backpack?